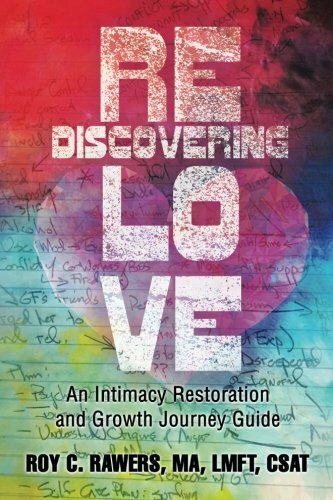 “Rediscovering Love: An Intimacy Restoration and Growth Journey Guide” by Roy C. Rawers is a guide for new or existing relationships, taking a look at how relationships may have deteriorated over time, the things people do (consciously or otherwise) to sabotage their relationships, and offers ways to repair and strengthen those relationships. It gently forces the reader to take a deeper look into why the relationship may have deteriorated and the subconscious behaviors that could potentially be inhibiting the relationship from growing deeper. This book could potentially be the start of a beautiful journey for any couple who takes it seriously. It was so easy to read given that its organization was right on point. The way the author eases into each topic, explains each aspect of what may not be known to the reader about that topic, then teaches the reader through offering various tools to embark on this journey of rediscovering love, is what makes this book worth reading. Now, you would think you would have to be in a relationship to gain anything from this book, but that is a completely false assumption. I have recently gotten out of a three-year relationship, after reading this book, can see we may have had a better chance at saving the relationship, or at the very least, created a greater understanding as to why he and I just wouldn’t work. With that being said, even still I gained so much perspective and even more tools to be able to create a healthy relationship in my future. My favorite part of the book was the dialogue presented by three of the author’s clients. The ways the author’s tools to rediscovering love were put into play in real life was something any reader would be able to benefit from. Overall, I thoroughly enjoyed reading “Rediscovering Love: An Intimacy Restoration and Growth Journey Guide” by Roy C. Rawers. The end result of reading it was that I’m pretty sure I want the author to be my therapist! Rocks, Plan B rather than Plan A, and journaling are everything you want to learn about right now and you can in this book!